Home>Music> Nas Releases Hoodies & T-Shirt Collection For "Nasir"
Nas' hotly anticipated studio album with Kanye West drops any minute now. In the meantime you can pre-order the following t-shirts and hoodies bearing the album title on breast pocket and series of different graphic design on the back side, some of which foreshadow themes on the album. Of course, Kanye West already alluded to the theme of 7 Deadly Sins featuring prominently on the record. In order of severity the code decries Pride, greed, lust, envy, gluttony, wrath and sloth, the last of which hardly feels like a disposition punishable by death. 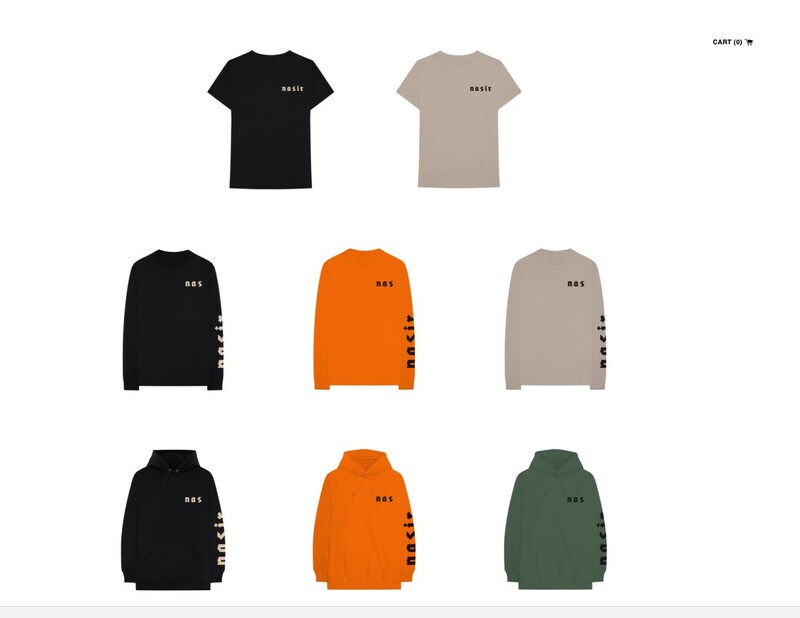 The merch drop reads like something Kanye West has his hands all over. Creative direction from Kanye comes with the added dimension of cross marketing. Nas has spent more time tweakin' his thesis than trying to make weight. The merch line is never the less really stunning, in simplicity and detail. Images on the fabric consists of a Third-Eye, a sabre cutting through a pyramid, a handshake agreement, a crescent star, and Nas' cover art for Nasir, a message to all-of-us about the "children of the future." The merch table is positioned on his website, here. Elegant vinyl copies of Nasir are also available for pre-order at the same link. MUSIC Nas Releases Hoodies & T-Shirt Collection For "Nasir"